Shop On Stage MY410 Studio Microphone Shock Mount from AMS and enjoy Fast & Free Shipping. 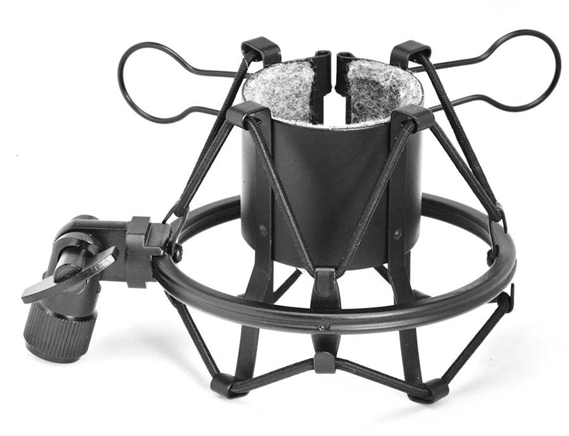 The On Stage MY410 shock mount lets you treat your studio microphone with the same care as a $10,000.00 vintage mic. 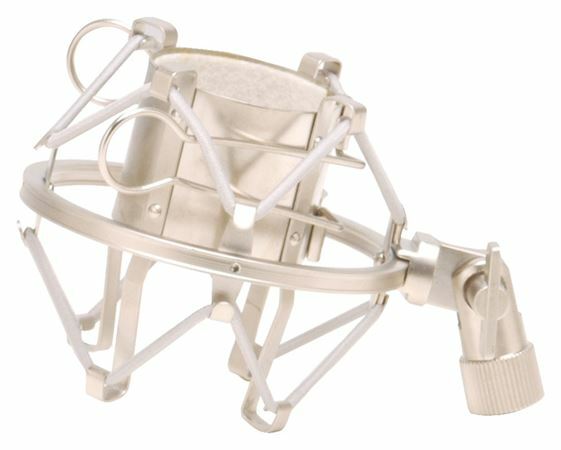 This professional suspension shock mount isolates most studio condenser mics (42 to 48mm diameter) from physical vibration, floor, and stand noise. Fully adjustable mic angle. The die-cast steel adapter with 5/8 inch-27 threads features an angle adjustment with locking knob and will attach to any mic boom.